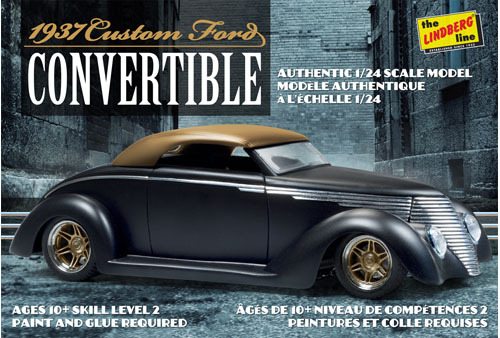 Lindberg presents the ‘37 Ford Convertible, a credible custom street rod with the ultimate underpinnings! This slick slider is a mix of Ford body components from the 1930s era with a nod to the ‘40 Ford in its grille. A true phantom cruiser, the kit features a modern platform including an LT I motor and ‘Vette suspension connected to a custom frame with tubular crossmembers. Specialized wheels and interior components round out this wild ride!